Telltale loves working with big franchises with great characters, but it isn't easy to get the rights to series like Game of Thrones. Telltale has an awful lot of irons in the fire right now. The developer is currently working on season two of The Walking Dead, as well as The Wolf Among Us, and two more games have just been announced: Tales From The Borderlands and a Game of Thrones adaptation. That last one won't be coming for a long while, but it's understandable that Telltale is excited about it - the developers have been trying to get permission from HBO for over a year. "We want franchises that are really difficult to translate into traditional gaming," explains Telltale's Steve Allison. "We don't want to make another Walking Dead first-person shooter. What works with the franchises we have is the characters, the story and drama and the relationships. We look for franchises that are huge and have all those elements." 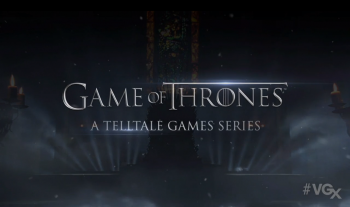 Using those criteria, the Telltale team decided to approach HBO to ask about a Game of Thrones video game, and kept at it. More than a year later, HBO finally gave them what they needed: a multi-year, multi-title deal working with the Game of Thrones IP. Telltale's Game of Thrones is still very early in development, and will likely remain on the back burner until work on The Wolf Among Us and The Walking Dead finishes up. The first episode is set for a 2014 release, though, so fans won't have to wait too long for winter to come again.